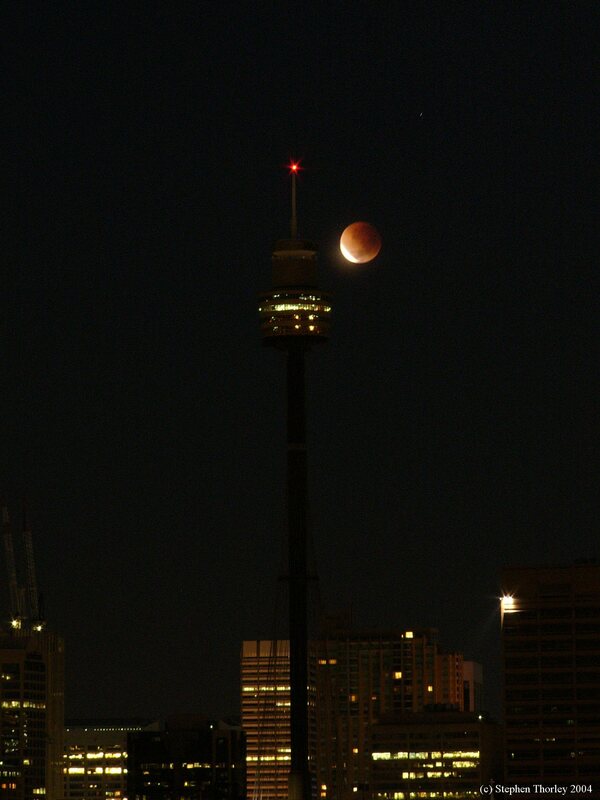 Explanation: Rising before dawn on May 5th, Stephen Thorley looked out across the skyline of Sydney, Australia. And while a leisurely lunar eclipse was clearly in progress, from his vantage point on planet Earth the Moon set as the total phase of the eclipse began. 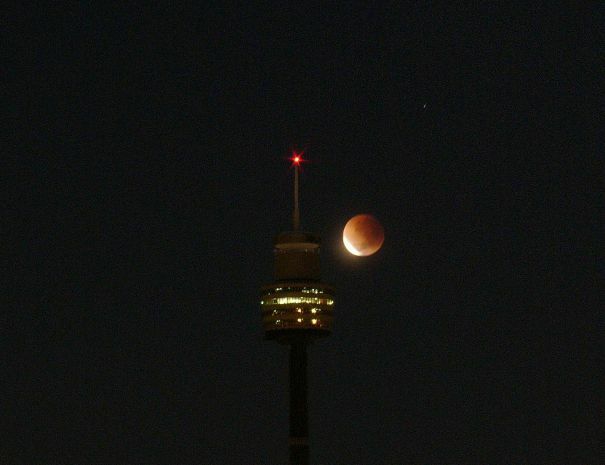 Still, before the setting Moon was hidden by the cityscape he captured this striking image of a nearly eclipsed lunar disk sliding past the beacon and lights of Centerpoint Tower, one of Sydney's familiar landmarks. So what's that star just visible above and to the right of the reddened Moon? That's Zubenelgenubi, of course.